We solicit bulk inquiries of higher order value. We also offer lucrative discounts on bulk purchases. 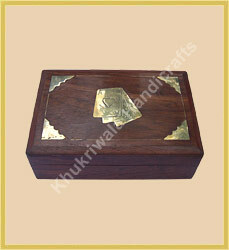 We offer hand crafted wooden products like treasure box, spectacle case, card holders, decorative boxes etc. These are made using well treated matured wood, ensuring durability. 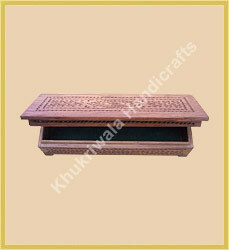 The fine workmanship and carvings on them depicts the real art of India. We cater to bulk buyers with ease and meet customized requirements. 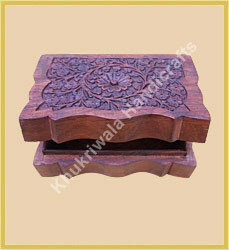 We offer high quality wooden box. Competitively priced, our rectaunglar wooden boxes are available in exquisite designs and different finishes. 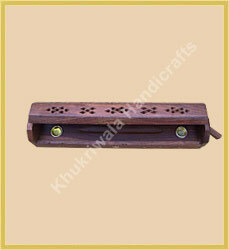 We offer incense boxes that are available in a range of designs, patterns and shapes. 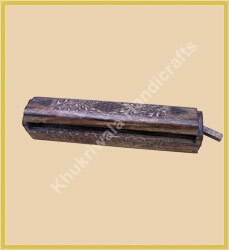 We have a very widest range of incense products made by Indian Wood. Competitively priced, our wooden boxes are available in exquisite designs and different finishes. 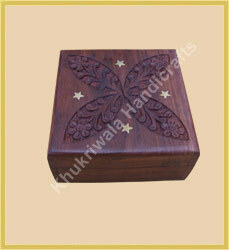 The wooden boxes creates a magic of the historical antiques which have got an extensive demand in the market. This is an wooden incense holders. 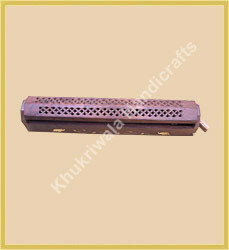 It is very useful in collecting the ash of incense sticks. The work on it had done by the brass. 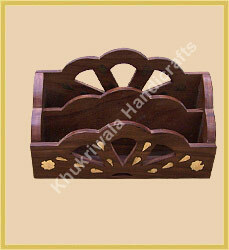 It is fully handicrafts item.